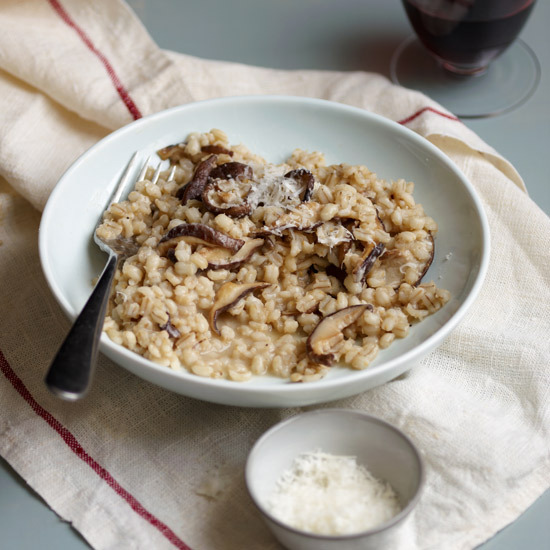 Brilliant dishes for the holidays, like Mario Batali's creamy mushroom risotto and John Besh's spicy and briny oyster stuffing. 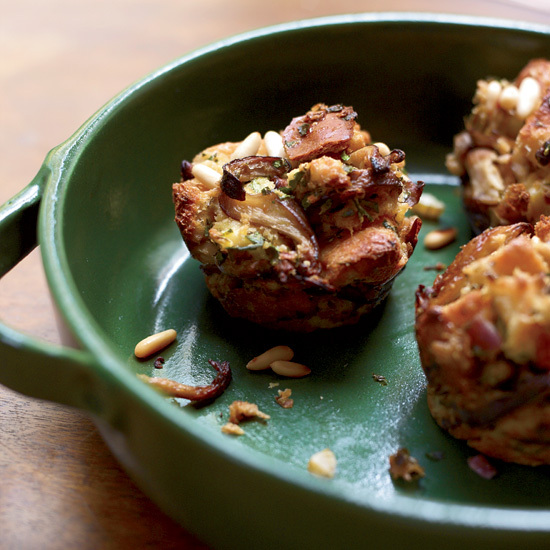 Jean-Georges Vongerichten has taken the American stuffing basics and reconfigured them. 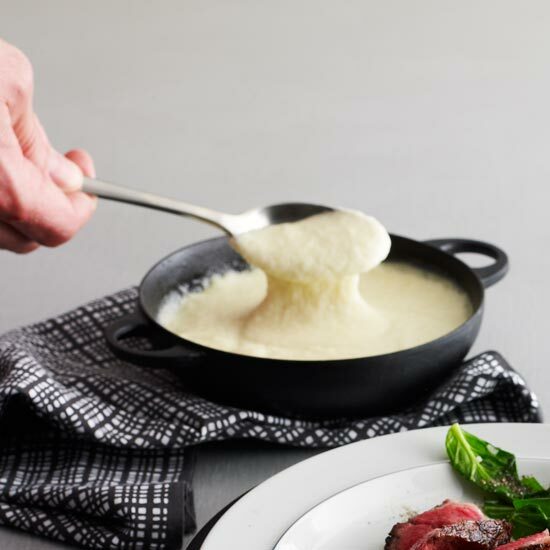 This dressing, which he prefers to cook outside the bird, takes an unexpected form. 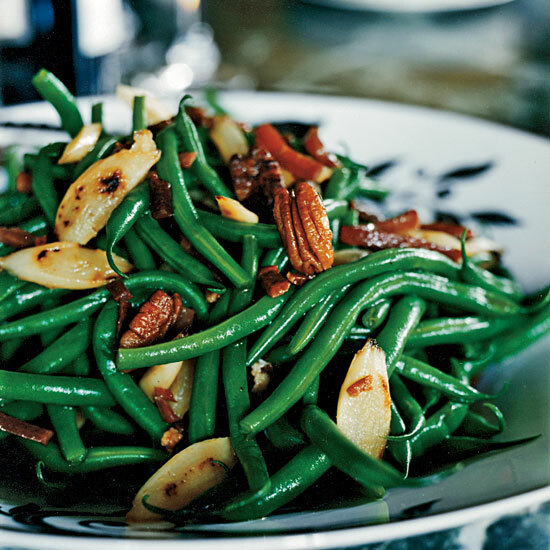 For his simple side dish, Dean Fearing sautés crisp green beans with caramelized salsify, toasted pecans and strips of intense country ham. 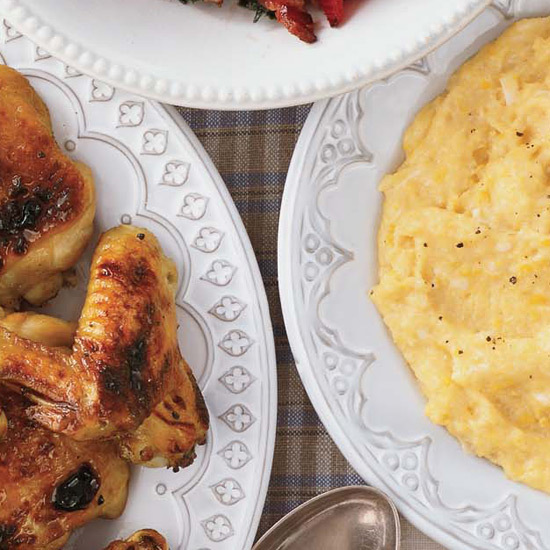 At home, he jokingly calls them “all-day” green beans—in fact, they take about half an hour to prepare. 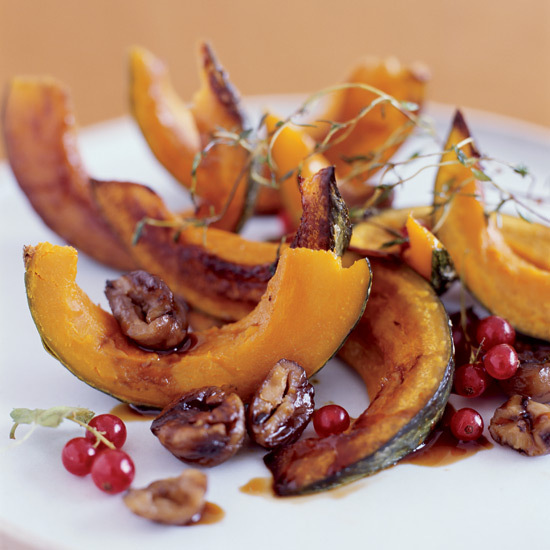 A drizzle of tangy pomegranate molasses makes this oven-roasted squash, an archetypal fall recipe, more exotic. 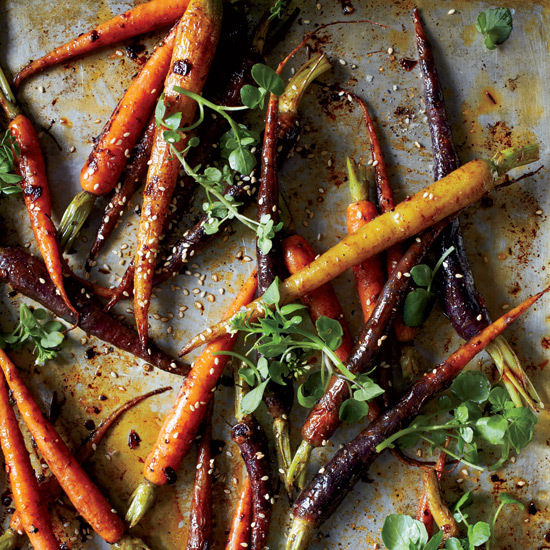 When he makes this stunning salad, Alex Stupak roasts baby carrots with mole poblano, a complex sauce that includes dried chiles, raisins and chocolate. 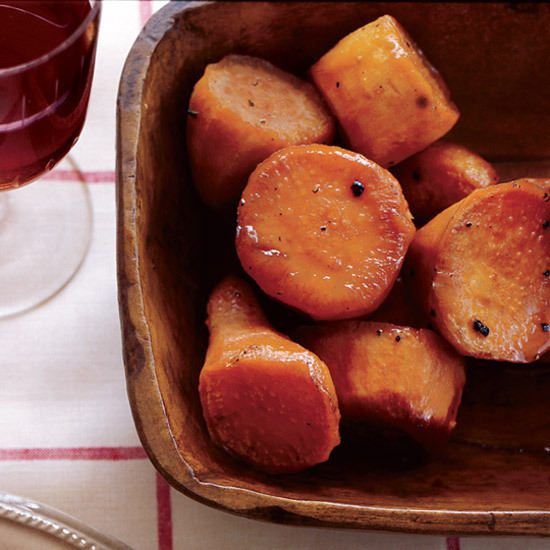 Here, the carrots are roasted simply with smoky chipotles in adobo. 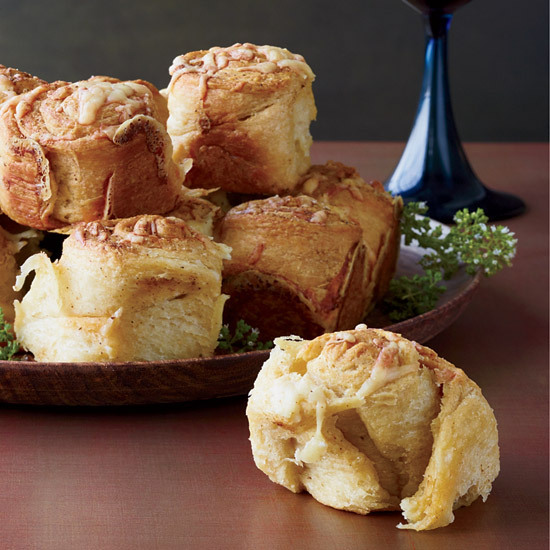 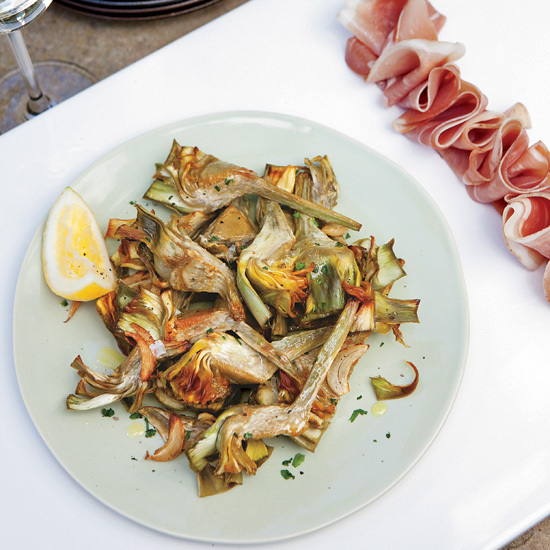 Michael Chiarello slow-roasts artichoke hearts in extra-virgin olive oil to bring out their sweetness, then serves them with prosciutto, an ingredient that matches particularly well with wine. 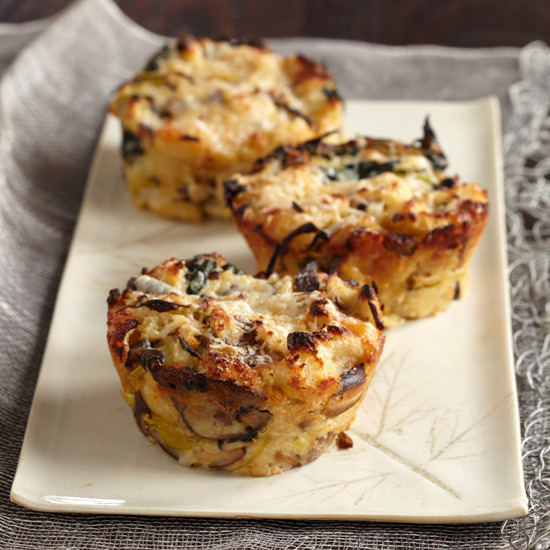 A mix of sautéed wild mushrooms adds lots of texture to this stuffing; lemon juice and zest make it tangy. 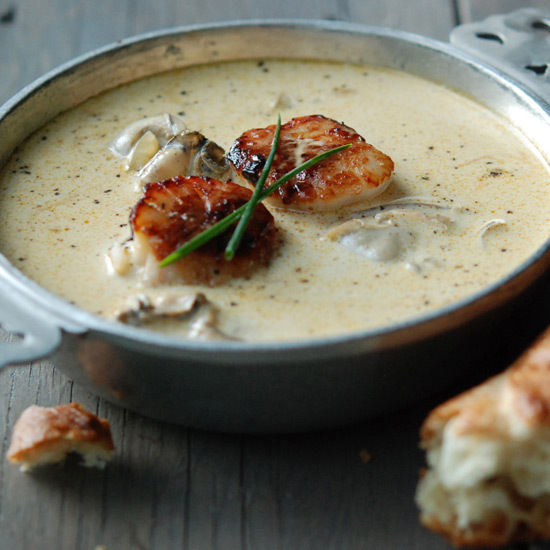 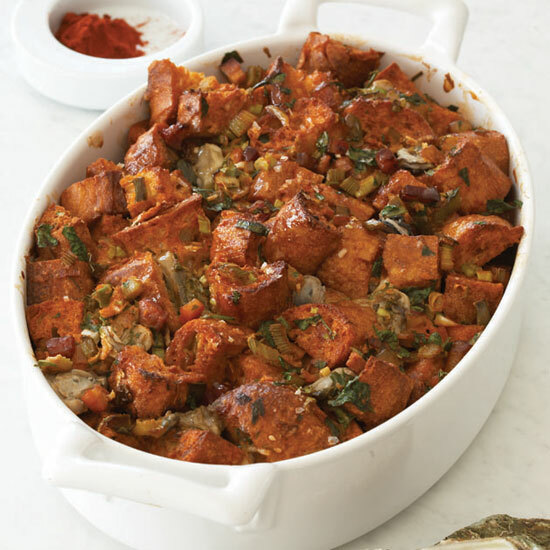 The mushroom stuffing can be made vegetarian-friendly simply by replacing the chicken stock with vegetable stock. 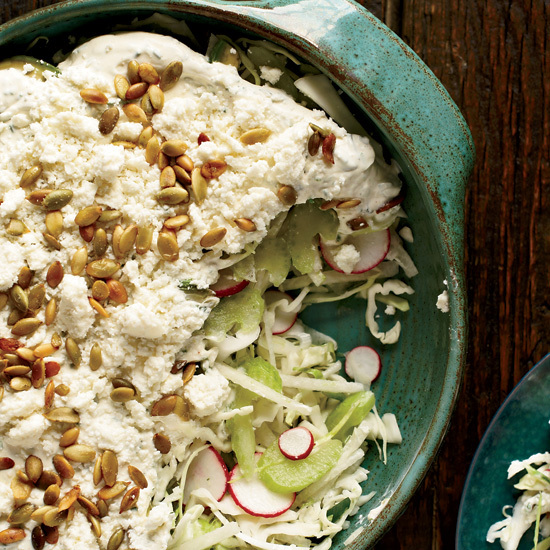 “This is a salad you can keep in your refrigerator until you’re ready to serve; just like your summer slaw, but for winter,” says Jenn Louis. 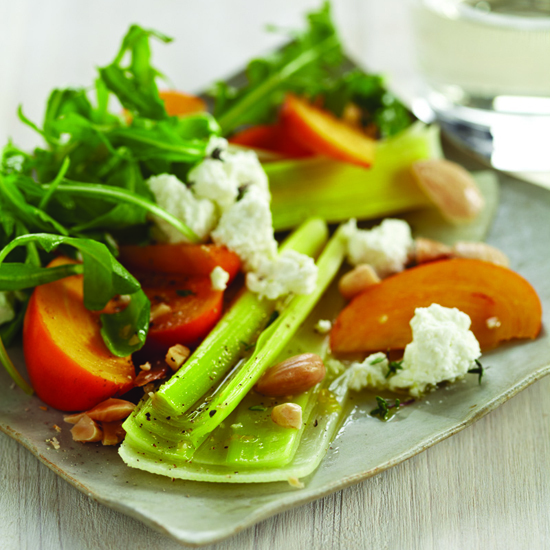 The crisp vegetables mixed with the creamy yogurt dressing would also be excellent as a filling in tacos. 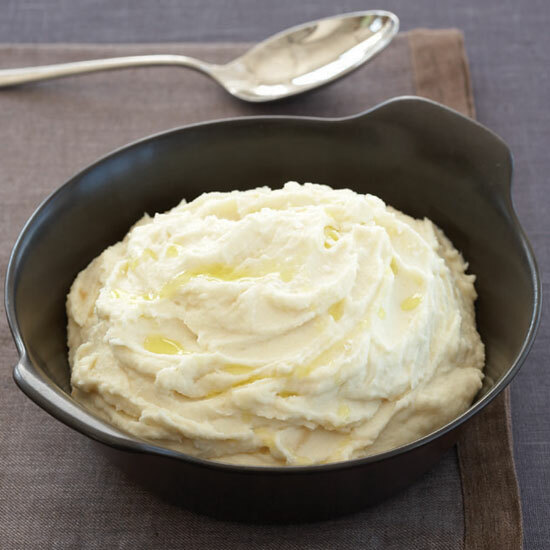 Chef Lee Hefter’s mashed potatoes are so packed with cheese, they're almost like fondue.